The Holi Festival of Colour is celebrated this year from March 27th (2013). 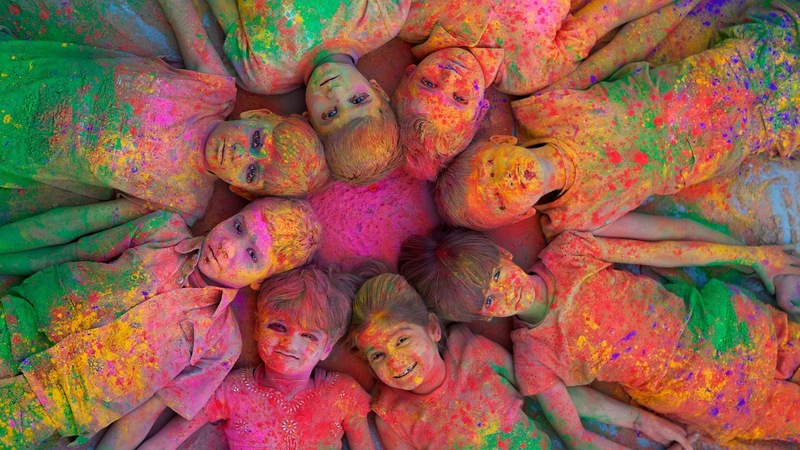 Holi is a religious spring festival celebrated by Hindus as a festival of colours. It is primarily observed in India and Nepal. It celebrates the beginning of the new season, spring. Originally, it was a festival that commemorated good harvests and the fertile land. Hindus believe it is a time of enjoying spring’s abundant colors and saying farewell to winter. It also has a religious purpose, commemorating events present in Hindu mythology to commemorate the victory of good over evil, brought about by the burning and destruction of the demoness named Holika. This was enabled through unwavering devotion to the Hindu god of preservation, Lord Vishnu. Although it is the least religious holiday, it is probably one of the most exhilarating ones in existence. During this event, participants hold a bonfire, throw colored powder at each other, and celebrate wildly. Pack some old clothes as friends who have attended say it gets messy, wild, and joyous.